Much awaited smartphone OnePlus 6 launched in India. 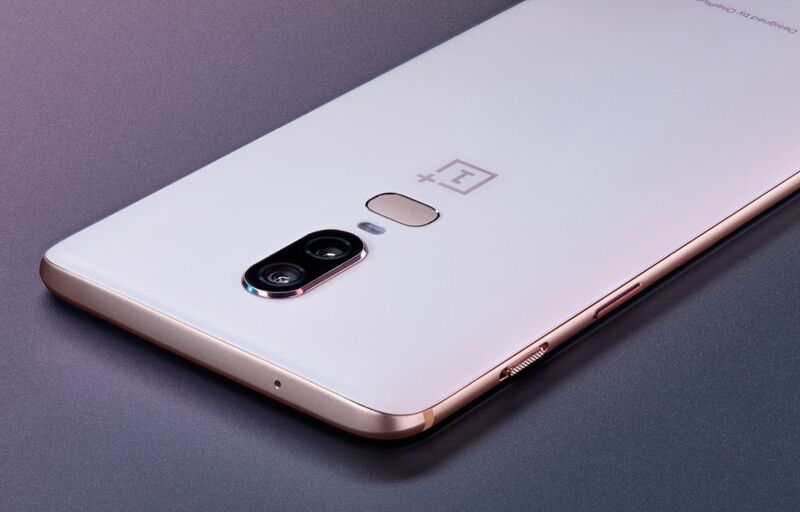 The OnePlus 6 – the first in OnePlus’ line of flagships to feature an all-glass design – is the company’s most sophisticated handset to date. With a 6.28-inch Full Optic AMOLED 19:9 display – OnePlus’ largest-ever screen – the OnePlus 6 offers an immersive viewing experience while keeping a similar form factor to that of the OnePlus 5T. Combining new technology from Qualcomm® with OnePlus’ engineering, the OnePlus 6 is the fastest handset the company has ever produced. As with any OnePlus device, the OnePlus 6 is beautiful and functional in equal measure – now, with more screen than ever before. To provide users with as much screen real estate as possible, OnePlus designed the navigation bar so that it can be replaced with gesture control, freeing up, even more, viewing space for a cleaner look. OnePlus’ meticulous attention to detail is reflected in each of the OnePlus 6’s color variants: Mirror Black, Midnight Black, and a limited-edition Silk White. For the Mirror Black and Midnight Black variants, OnePlus embedded a thin layer of film underneath the glass to create a sense of depth as light and shadow move on the device. A jagged texture was etched onto the film of the Midnight Black to produce a subtle S-shaped line when the phone is reflected in the light. The limited-edition Silk White uses pearl powder to create a subtle shimmering effect. The OnePlus 6’s dual camera system features a 16MP main camera, supported by a 20MP secondary camera. With a f/1.7 aperture, the 16MP main camera has been bolstered by a 19 percent larger sensor and OIS for outstanding performance in a range of lighting conditions. With Advanced HDR, OnePlus’ improved High Dynamic Range algorithm, the OnePlus 6 brings out shadows and enhances lighting in photos. Portrait Mode will be available on the OnePlus 6’s front camera as well as its rear. Using AI, the front camera is able to apply a depth of field effect to selfies. Newly added bokeh effects, including circles, hearts, and stars offer new ways for users to customize their portraits. The OnePlus 6 will be available in an early access sale on Amazon.in, oneplus.in and OnePlus experience store in Bangalore on 21 May 2018 at 12:00 pm. The device will be available for open sales across all channels starting May 22nd, in 6 GB RAM + 64 GB storage and 8 GB RAM and 128 GB options and retail at INR 34,999 and 39,999 respectively in Mirror Black and Midnight Black color options. OnePlus has refreshed the audio accessories with Bluetooth earphones – OnePlus Bullets Wireless – stylish and lightweight, keeping people connected when it’s needed. Bullets Wireless have an intuitive experience, seamlessly pausing and resuming music when the earbuds are magnetically clipped together, while OnePlus dash charge gives five hours of continuous audio from just 10 minutes of charging. OnePlus Bullets Wireless is priced at INR 3,999 and will be available soon in India. OnePlus 6 Customers can avail cashback of INR 2,000 on transactions using SBI Debit and Credit Card during the first week of OnePlus 6 launch. They will also be eligible to avail No Cost EMI for up to 3 months on all popular banks. In addition to this, all OnePlus 6 customers will be eligible for 12-month Accidental Damage Insurance by Servify on downloading Kotak 811 app as well as INR 250 for all Amazon Prime Video consumers and discounts up to INR 500 on Amazon Kindle e-books. Other partner offers to include up to INR 2,000 cash back and Device Insurance for Idea subscribers and benefits up to INR 25,000 on flight and hotel bookings from ClearTrip. Post-launch, OnePlus is hosting pop-ups across the globe including New York, London, Paris, Milan, and Beijing. In India, the pop-up events are scheduled across 8 Indian cities, including Bengaluru, Delhi, Mumbai, Pune, Chennai, Hyderabad, Kolkata and Ahmedabad between 21-22 May 2018. At Popups, fans will be able to experience and purchase the powerful and stylish OnePlus 6 at these pop-up stores over two days, on a first-come-first-serve basis.